Our previous posts about Olduvai Gorge introduced the Olduvai Geochronology and Archaeology Project excavations. At this time Anna, Jan and I were just beginning to pack for the trip. It feels crazy to say that now already 2 months have passed since we returned from what was an amazing and unforgettable experience. As explained before, Olduvai Gorge is a very important site for the discovery of early hominin activity. It was first excavated by Mary and Louis Leakey in 1935 and excavations continue there today. 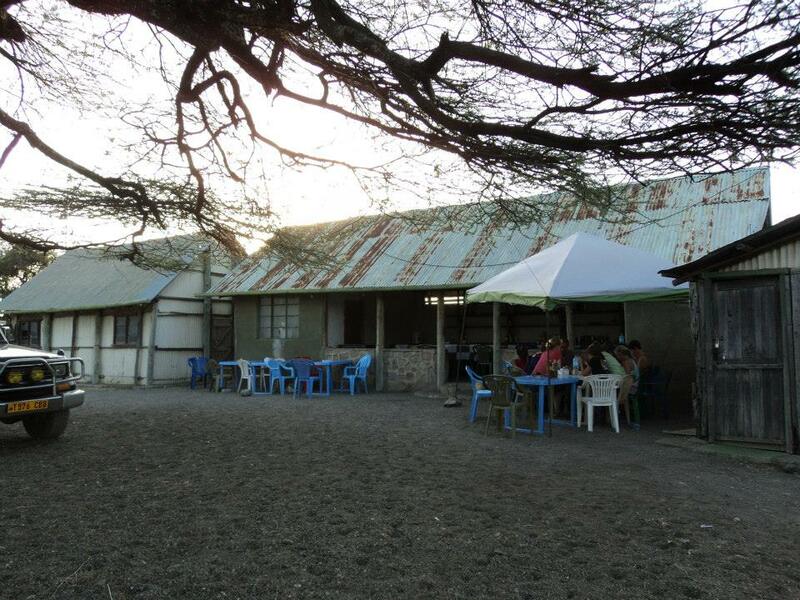 Echos of Mary and Louis Leakey’s presence still remain at the camp where we lived. Every year the day that Mary found the Zinjanthropus boisei skull (also known as Paranthropus boisei) is celebrated. We were lucky enough to be part of the celebrations this year. 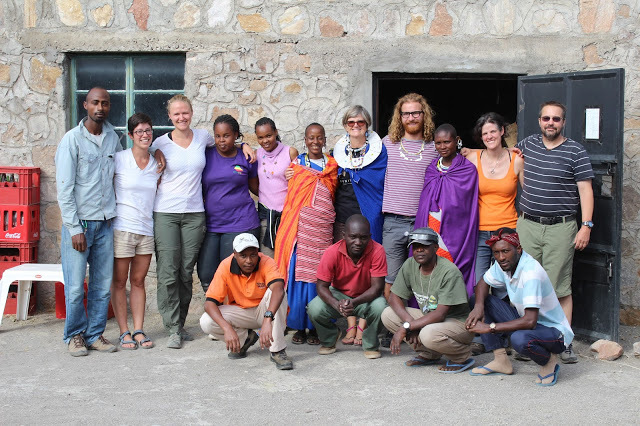 Throughout the night everyone expressed their thankfulness for the collaboration that has taken place between the local Maasai and the visiting researchers. The excavations this year have been led by Dr. Ignacio de la Torre (UCL), Dr. Lindsay McHenry (University Wisconsin-Milwaukee) and Dr. Michael Pante (Colorado State University). 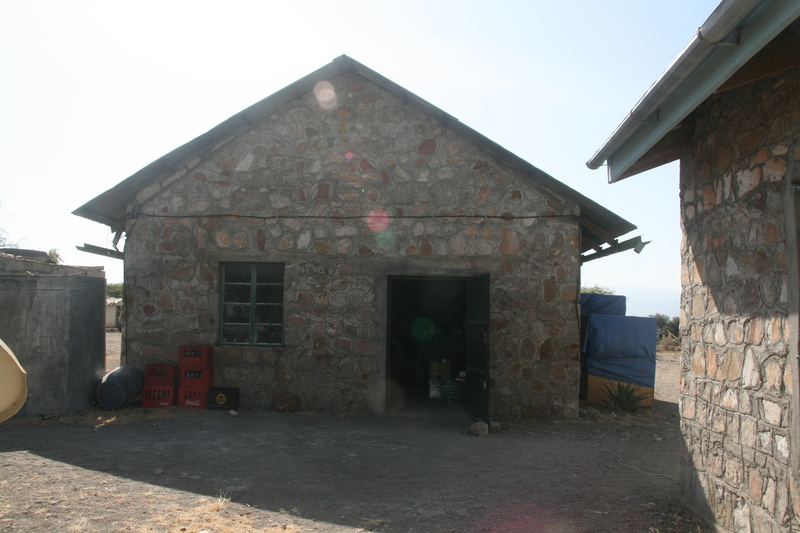 The excavations site locations were based on the meticulous notes of Mary Leakey. This year, the main sites excavated were incredibly rich archaeologically. 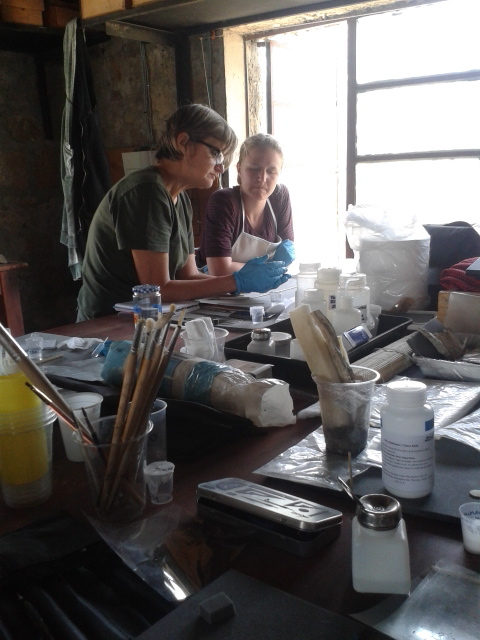 Over 5,000 artefacts were excavated this season and over 550 of those passed through the conservation lab. 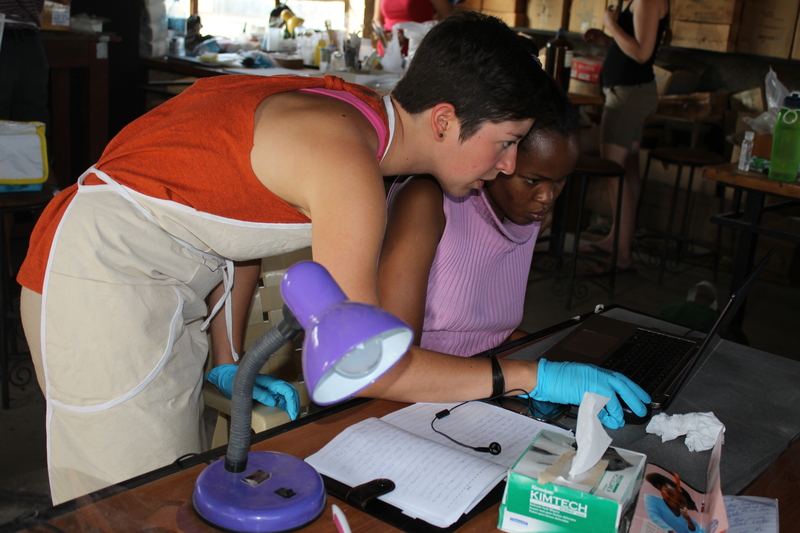 GTCT (Greatest Tanzanian Conservation Team) treated more objects then ever before. Comprised of myself, Anna, Jan and Eli. We were led by Dr. Renata Peters to have a highly successful season conserving fossilized bones and stone tools. The fossilized bones came into the lab requiring joining, consolidation, fills and surface cleaning. The stone tools were often delaminating, in addition to needing joining and surface cleaning. We could not have had such a successful season without help from the Tanzanian excavators and field school students who quickly became part of the GTCT. 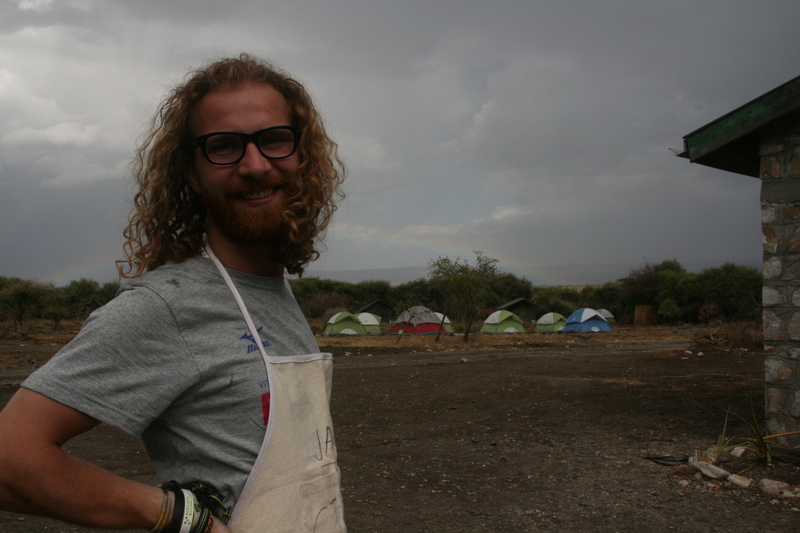 When reminiscing about our time in Olduvai to others Anna, Jan and I have gotten some interesting reactions. Daily life at the camp would not be considered easy by most. We slept in tents, had no running water (which meant showering from a bag and brushing your teeth by a bush) and only limited generator-powered electricity. We would start work daily at 7:45am and would finish around 6:30pm- when there was no more light to work by. However, we would also watch the sunrise over the gorge every morning, see giraffes running behind the camp in the evening and fall asleep to the sound of hyenas. We were surrounded by loving and caring people with whom we formed friendships that will last a lifetime. Olduvai Gorge is a unique and wondrous place. I think I speak for all three of us when I say we feel very lucky to have been part of this experience. This trip could not have been possible without help from our friends and family who donated to our crowd fundraising campaign, the Zibby Garnett Travel Fellowship and OGAP. Thank you so much! October came and with it, a new academic year began. While our predecessors start their internships (MSc2), we – this academic year’s MSc1’s – are excited to start our year in the lab. Each one of us comes from very different backgrounds and experiences. We have a beautiful mix of nationalities and careers, from archaeometry to history of art, from pharmacy to archaeology, from physics to fine arts. We are getting closer to half way through the three year program in conservation at Institute of Archaeology (UCL) and we can start to see the horizon after the MSc (How scary and exciting!). This year at the MSc in Conservation for Archaeology and Museums, we start developing our practical skills. And with October the most fearful and expected moment came: we were sitting in front of the first object allocated. That was the moment, the beginning. We all looked at each other, then to the object. We asked each other, and then back to the object. Tentatively we started. Moments came when fear stopped us. When that happens, one of our lecturers will sit with us and guide us through the object. And then, we are left alone again, but each time they leave we are a bit more confident, a bit less fearful. A long time ago, one of my teachers said, “You don’t have to fear the object, you have to respect it”. And that is what we learn to do. Each one of us has come with our own bag packed full of information, knowledge, skills and life experiences. Slowly, we start to share those bits of wisdom and abilities. We start to fuse our experiences. Each week we absorb information from a mix of both our lecturers and our fellow students. Isn’t it the most important part of growing up? Learning that knowledge is hidden under every stone and not always under the most obvious one. So this blog is a way for us to extend the sharing of experiences and information beyond the lab walls. I hope you decide to follow our progress. In the posts here we will continue to share our experiences, our research and practical tips, anything that we think is useful, interesting, or reflective of conservation. The MSc 2 students will of course keep posting about their experiences. We welcome your comments and feedback and look forward to a great year!